Bao Tianren (BAO): Mr. Hollingsworth, thank you very much for inviting me to the States. We had several rounds of talks during the 50th TESOL (Teaching English to Speakers of Other Languages) International Convention in Baltimore, Maryland, USA. We discussed your EDI (Explicit Direct Instruction) rationale. You let me visit your headquarters in California. I feel I have known you for a long time. I bought the book you and Dr. Silvia Ybarra wrote, Explicit Direct Instruction for English Learners, published by Corwin in 2013. As I read the book, I made a lot of notes. This book is quite impressive. It’s funny. We live at different parts of the globe, but we share the same ideas. I’d like to know more about DataWORKS. I know Silvia was a teacher and principal. Would you like to introduce yourself first? John Hollingsworth (JH): My educational background is engineering, and I have worked as a computer programmer, writing computer software. For the last 19 years I have worked in education. Silvia has a doctorate in education. I helped her with the statistical analysis for her doctoral dissertation. We were comparing two groups of students. Some other teachers asked if we could analyze student data at their schools. BAO: Is that score analysis? JH: Yes, test score analysis. That’s where the DataWORKS name came from. We were analyzing test data. Silvia Ybarra (SY): Rather than DataWORKS, our company name should be Teaching WORKS. It’s a better description for what we do. BAO: That’s why at first I got confused with the name. Data indicate information. SY: Yes, actually we help improve teaching, but it is too late to change our company name now. BAO: How long had you worked as a school principal, Silvia? SY: About 6 years. Before that time, I was a scientist in industry for quality control. After that, I was a physics teacher in a high school. I once worked in a pharmaceutical laboratory, and that was my first profession. BAO: You have experience in analyzing student data and classroom observations. SY: Yes, mainly analyzing teaching processes. JH: I had read some business books on improving manufacturing processes, and that’s where the idea came from to improve teaching processes. BAO: Silvia is good at idea giving, and John is skilled at dealing with learning processes. That’s why you work together harmoniously and have written three books up till now. JH: The first book was written in 2000. The second book, Explicit Direct Instruction (EDI): The Power of the Well-Crafted, Well-Taught Lesson, was published in 2009. BAO: Explicit Direct Instruction for English Learners, this is the latest, in 2013. Now, do you spend much time training teachers? SY: We are always training teachers at different places, usually at schools or at conferences. We also do research on education. BAO: How long does the training last? SY: The first training about teaching takes two days. Then the training goes to the next phase lasting five days. JH: Generally, the training lasts a couple of days, and then we go to classrooms and work there. BAO: So after the initial training, the teachers go to the classroom to see what’s happening there. SY: Or we show them video clips as a change. BAO: I got the picture of the training process. How big is your entire staff? JH: We have 15 people on staff. BAO: How many schools are involved in EDI training programs? JH: I haven’t counted recently. There are about two thousand schools, I think. BAO: I saw your working map. There are many places you’ve visited. SY: Yes, we just got a big contract, you know, in Australia. JH: For the Australian contract, DataWORKS employees worked on the curriculum for a year. BAO: Is that training for one district or a particular area? JH: It’s for schools across the whole country. SY: Thirty schools are involved. We had a large contract. The Australian government supported this program. BAO: I got the idea. It seems to me that the EDI training is not only for language training but also for other subjects. SY: EDI can be used for many other subjects, mathematics and science, for example. But we do very little in history. Events in history can be quite controversial. JH: But we still have some history lessons. BAO: Did you start your company in 1997? JH: Yes. But we didn’t have a building. We worked out of our house. BAO: A sort of pocket company. SY: We had only 350 dollars to start the company. We had to work to bring in business. BAO: I got some questions about EDI. You know, explicit means direct, why do you put the two words together? JH: There are some other programs called direct instruction. We don’t want to be confused with other programs. BAO: Why don’t you use teaching instead of instruction? JH: Direct instruction and explicit teaching are phrases used many times in education. I even used a computer and found the words were used 167 times in government documents I was reading. We combined the words to become Explicit Direct Instruction. BAO: Is EDI an approach, or a method, or a technique? SY: EDI is a well-designed lesson that is well-taught. EDI is an approach. The research supporting EDI goes back more than a hundred years. We bring educational theory into the classroom to make it work. BAO: For what level is EDI designed? SY: We have worked with two universities, but EDI is used mainly from kindergarten to high school. JH: Some universities use our books for teacher training. BAO: Is EDI suitable for other countries? JH: We are working now in Australia. We have trained teachers in Mexico, El Salvador, Costa Rica, and China. A school in Ghana, Africa, contacted us about developing an English curriculum for 40 schools. BAO: Last year a new education law was passed in the States, ESSA (Every Student Succeeds Act). Are there any new changes? JH: Schools still have to improve test scores. SY: America now has the new Common Core State Standards (CCSS) started in 2010 which address English and math. BAO: So the EDI approach complies with Common Core? JH: Yes, EDI can be used to teach the Common Core. 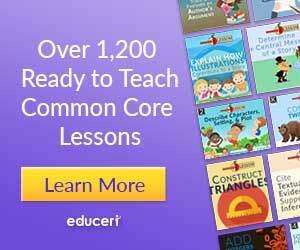 We work with many schools, but not all states are implementing the Common Core. SY: English, math and science, these three subjects have new standards. BAO: Really? I found that other subjects have the standards. BAO: What can you deliver to English teachers? JH: All teachers can use EDI. We have found schools do not focus enough on the effectiveness of the teaching. That is important if you want students to learn more. BAO: Your concept of EDI seems more teacher-centered. That’s different from John Dewey’s idea which is quite student-centered. Dewey is well-known in China. I presume that he’s also well-known in the States. What do you think? SY: No, not really. We go by research. We follow Professor John Hattie from Australia. He has analyzed hundreds of research studies. We work with Professor Clark from the University of Southern California. Both of them say that the research supports our Explicit Direct Instruction style of teaching to help students learn more. Dr. Clark says that EDI is the only method of teaching that follows the research on teaching. BAO: America has experienced several rounds of educational reforms. For example, Dewey put forward some experiments. But I was told that he failed. What’s the difference between his ideas and yours? SY: EDI focuses on the students being engaged during the lesson. EDI teachers are constantly checking the students’ understanding. Explicit Direct Instruction is suitable for teaching something new. Later, after students have been taught, then the students can be put into groups or work on projects. If the teaching is not effective, students will not learn. The aim of an EDI lesson is to have all students learn. BAO: Have you ever observed English classes in China? Do you have any comments on the observation? SY: We presented at an educational conference in Beijing, China, to Chinese educators a few years ago. John met the Beijing Minister of Education. We both saw English classes, and we visited two schools. The Chinese principal at one school told us that they were following the reforms carried out in America. However, reform in the States is like a pendulum. Sometimes it’s explicit instruction. Sometimes it’s inquiry learning, students are learning by themselves. Now the pendulum is moving away from inquiry learning because of poor test scores. In three years, I believe that explicit instruction will be back again. In an English class we saw in Beijing, the students worked in groups, but the teacher did not explicitly teach any new English for them to use. BAO: You’ve seen a lot of reforms such as after-school tutoring, block scheduling (longer instructional periods) and many other things. But what is missing in the classroom? In your opinion, the teaching is missing? SY: Yes. The key is to teach the students well. JH: This is also our idea of process improvement. We focus on improving the process of how students are taught. The job of a school principal is to help teachers improve their teaching. BAO: As I see it, the EDI approach is quite different from fashionable methods such as discovery learning. EDI is teacher-led and teacher-centered while other methods are constraining teachers from teaching in the classroom. I do not support picking up or incidental learning by the students. SY: Those inquiry methods are suitable for top students only. JH: Yes. Inquiry learning works for the top students, not for general students. Professor Clark’s research says inquiry does not work for general students. Teachers should teach students how to do things, not have students figure it out on their own. BAO: Clark is stressing that partially-guided teaching is not so effective if we compare it with fully-guided teaching. EDI is fully-guided. Nowadays, the instruction is missing. SY: According to Clark, fully-guided teaching, EDI is suitable for all students, even the top students. BAO: The situations are different in China. The role of teachers, I mean, the instruction is terribly neglected, and the students are given tasks to finish before teachers’ explanation and instruction. They turn things upside down. Do these things happen in America? SY: Yes, we have the same controversy. There are many low-income, Spanish-speaking students in the States who are not learning. The teachers have to teach them to make learning happen. The problem is that we see very little teaching. BAO: Less teaching causes many problems. Is it to waste time or save time? SY: To me, it wastes a lot of time. Students use a lot of time trying to learn something and the teacher should teach them. JH: Many teachers do not emphasize teaching first. They ask a question, and the students don’t know the answer. A rule in EDI is that you have to teach something first before asking questions. Teaching first is important for learning English. Here in America, Spanish-speaking students can learn some English words from other English speakers in the community. But in China, the students do not have English speakers around them. BAO: There are no opportunities for them. They must learn everything from their teachers, usually language forms first. JH: Yes. Vocabulary and sentence patterns go first. BAO: What’s a higher-order question? SY: Higher-order questions require students to think and create their own answer. In a classroom, if a teacher asks“What color is an apple?”that’s not a higher-order question. It’s a recall of a fact. An example of a higher-order question is, “Students, write your own sentence using the word apple.” In the classroom, it’s common for teachers to ask low-level questions. Higher-order questions must make students think to create an answer. BAO: Then how do you manage to check for understanding? Questions will work. SY: We ask questions to check if students are learning, but it’s not effective to call on volunteers. You must select random non-volunteers. For example, you ask students, “What are the differences between the two characters?” The students don’t know whom you will select. Now every student thinks of an answer. Then you call on a non-volunteer. That’s what we expect. A teacher has to know that anyone in the class can answer the question. BAO: Does this method waste time? Volunteers may answer questions more quickly. SY: No. We want to ensure that 80% of the students understand the information delivered by the teacher. If the teacher asks only volunteers, the same students answer all the time. The teacher needs to get all students involved. BAO: The effect is partial learning when the teacher calls on volunteers. SY: Partial learning is not what we expect. BAO: Sometimes pair work or group work is not very effective. EDI focuses on teaching processes rather than test scores. Is that right? SY: In the classroom, quality control means you improve the teaching process, and it is called process improvement. When teaching improves, test scores increase. If you don’t change teaching, the outcome will be always the same. Usually, in group work we see only one student working, the others are not thinking. BAO: I appreciate that the EDI approach looks at teaching processes seriously, which indicates that the input is more important than the output. Do you think that 20% of students can learn something by themselves? JH: Yes, 20% of students can learn by themselves with any teaching method. SY: But most of the students, 80%, need to be taught. BAO: Classroom instruction may lead the students to success. I agree with you. SY: According to Professor Hattie, intelligence is important, but the most important is the teacher’s instruction. BAO: It’s said that inquiry learning is real learning. What do you say? SY: The teacher knows more and has more background knowledge than the students. Students, with no background knowledge about the new content, need to learn from the teacher. After teaching, students can do group work on their own, but the initial knowledge has to be given to the students. BAO: You said one of the guidelines of the EDI approach is effective and efficient. What’s the difference? JH: Effective means students are learning. Efficient means how fast they are learning. Inquiry learning takes a long time, and the students can’t figure it out. For example, the teacher should tell students how to pronounce a new word instead of asking students to figure it out. It’s faster to tell the students. It’s more efficient. BAO: As I see it, there are many teaching and learning strategies in the EDI approach. I think that teaching strategies are more important than learning strategies. Do you agree? SY: Yes, and the teaching strategies have to be specific. JH: For example, every lesson has to have a clear learning objective. BAO: You said a high percentage of students ought to be involved. How high is the percentage? SY: Teachers should re-teach each part of a lesson until at least 80% of students are successful. Then the teacher has to move on. If the teacher re-teaches the whole class for one or two students, the other students become bored. JH: But we don’t ignore the students who fall behind. We give corrective feedback during the lesson. Then all students learn. Teach the whole class to 80% success and then give cues, prompts, and feedback to the last 20% so they learn too. BAO: Why is EDI called meta-cognitive teaching? SY: Meta-cognitive means being aware of your thinking, thinking about your thinking. With EDI, teachers are thinking about how they teach. BAO: Is there any good method to help students remember? JH: The brain will remember what is repeated. One way to help students remember is to provide repetition during a lesson. Another way is periodic review, to have students practice over time. For example, practice one day later, one week later, and one month later. Learning language requires a lot of repetition. About 24 repetitions are necessary to remember something. BAO: There are two kinds of knowledge, what are they? SY: Declarative knowledge is the knowledge of facts. In science, there are a lot of facts to remember. Another kind of knowledge is procedural knowledge. Procedural knowledge is knowledge how to do something, like adding or multiplying numbers. BAO: In EDI, there is Guided Practice and Independent Practice. Can you explain them? SY: During the Guided Practice part of an EDI lesson, students work problems step by step while the teacher checks each step. For example, all students could be asked to write a sentence in the present tense. Then the teacher would call on random students to read their sentences. The teacher would make corrections, if necessary. The process is repeated for more sentences. During Independent Practice, students work by themselves practicing what was just taught. JH: Students should not be given Independent Practice until they are well taught. The students will get frustrated if they are left to work alone before they have learned. BAO: How to teach the pronunciation is an important matter. What’s your comment on that? SY: The teacher should teach the letter sounds and how to pronounce words. BAO: In the States, how big is a class? I mean how many students. SY: 30-35 students. Fifteen years ago there was a movement to reduce the class size to 15 students. It turned out that it didn’t make any difference. JH: They changed the class size rather than the teaching method. So it didn’t make any difference. BAO: I don’t think that the class size is a big matter. SY: No. If the students are engaged fully, the class size can be up to 30 or 50. BAO: The teacher is the most important role. Would you say something about testing, especially the college entrance test for high school students? JH: We have new national testing. There are two competing companies making the tests. Students take the tests on computers. We are making the transition from paper tests to computer tests. At the end of EDI lessons, we now include some practice test questions because the Common Core has a different testing system. We are not teaching the test. We are teaching the thinking needed to be successful on the test. BAO: I also want to know how many multiple choices there are in a test. SY: About 50%, I guess. JH: Some of the multiple choice questions now have more than one answer which makes the question harder to answer. The multiple choice questions are going away now. The students have to create their own answers for many questions. BAO: I have learned a lot from our talks. We have similar ideas on how to teach English in a classroom setting. The ELT in China is a big market since there are three hundred million students learning English. I have the expectation that the collaboration with DataWORKS will be a successful one. Thank you. SY: We have also learned from you, especially in the field of TEFL (Teaching English as a Foreign Language). JH: Thank you for having us for the interview. PreviousPrevious post:How do EDI and Common Core Standards work together?NextNext post:You taught the lesson, but did your students learn the lesson?